Rolls-Royce and the world of Haute Couture have long been bound by a common philosophy: taking the very finest materials and crafting them into the most exquisite and desirable luxury goods as expressions of their clients’ taste and lifestyle. 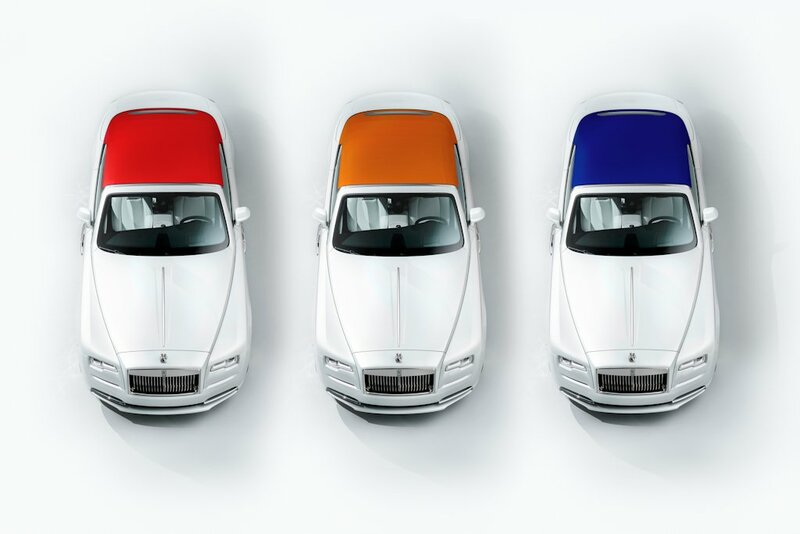 In creating ‘Dawn – Inspired by Fashion’, designers selected the neutral canvas of white upon which to base three vibrant colors that will set the tone for 2017’s Spring/Summer collection: Mugello Red, Cobalto Blue or Mandarin. Like the finest Bespoke garments, individuality is forged in the subtlest details. 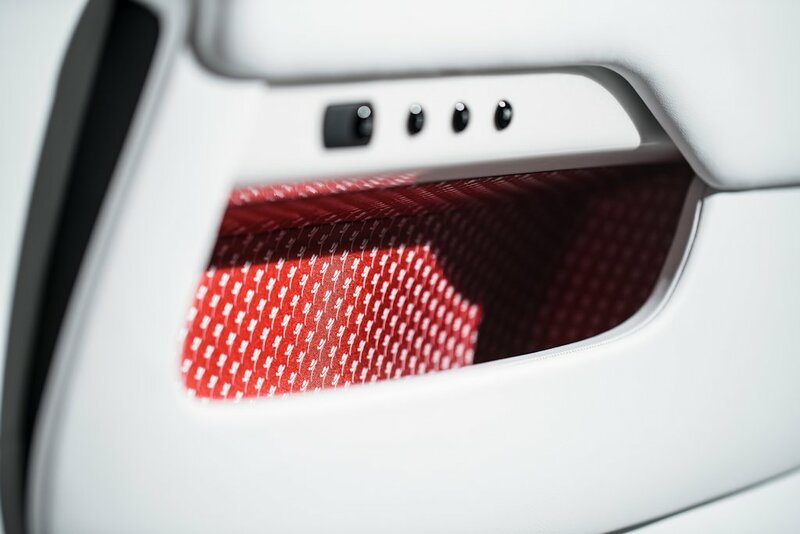 On opening Dawn’s coach doors, a contemporary Arctic White and Black interior color scheme is accented by one of the three vivid colors: Mugello Red, Cobalto Blue or Mandarin. The Arctic White leather of the seats is accented through the embroidery of the headrests, as well as the stitching and piping of the seats. Seamless stitching, a highly-complex craft technique from the world of fine tailoring, is applied to the steering wheel to ensure the perfect line joins the two colors of leather around the rim. 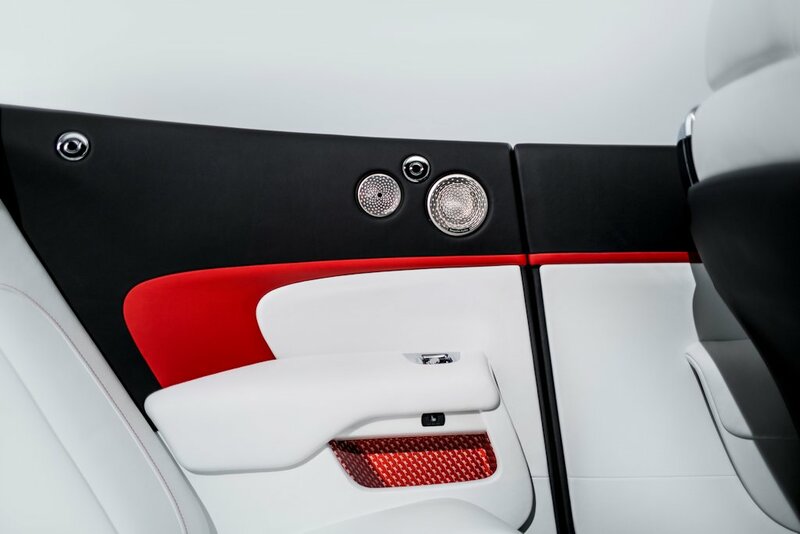 The legendary Rolls-Royce craftsmanship and attention-to-detail is apparent through the exquisite dashboard created in Piano White with aluminum particles resulting in a silk-like appearance, with the lacquering process alone taking nine days of meticulous work. This is completed elegantly with the integration of a Bespoke clock, set as a piece of jewelry, styled exclusively to emit a silver on silver effect. 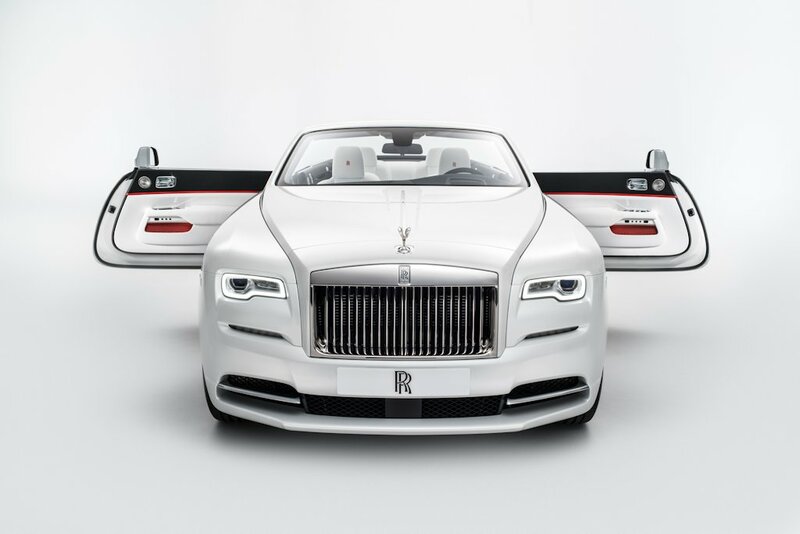 Dawn’s exterior color scheme of Andalucian White is beautifully accented by a hand-painted coach line which drapes over the curve of the car’s hip as the line flows backwards along the car, reflecting the identical splash of color provided when the soft-top roof is in place. Clients are invited to commission their personal style statement from this month to ensure they appear wrapped in the latest couture offering from the world’s leading luxury goods house for the new season next year.